Okay, the “+” is the only thing different with the name, but let it be said that, for better or worse, there are a lot of differences between last year’s program and this new one. This program, for example, has a more rounded aerodynamic package than last years. On the other hand, last year’s engine upgrade program - believe it or not - resulted in more power for the RS6 compared to this year’s engine upgrade program. Weird, right? Normally, station wagons are the sleepiest-looking among car types today. Well, them and vans. But there is something to the Audi RS6+ that elicits some kind of emotional response. It certainly has Audi’s design language down pat, but more than that, it also exudes that air of confidence that sports cars usually have. Maybe it’s because of that RS6+ badge, but we could make just as strong a case that ABT Sportsline has a lot do with it. 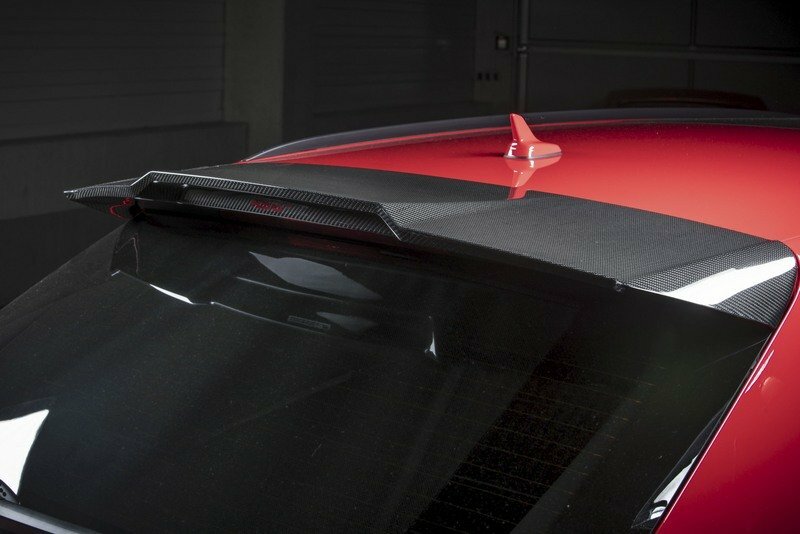 We’d be right from a quantitative standpoint because the German tuner has an extensive aerodynamic body kit included in its program for the RS6, most of which are even made from carbon fiber. The German tuner has an extensive aerodynamic body kit included in its program for the RS6, most of which are even made from carbon fiber. Take a look at the front for example. See the RS6+ logo on the front grille insert? Better yet, see the new front grille insert? It still takes the same shape but where you normally see “quattro” spelled on it, there’s “RS6+” instead. And it’s in red! Moving away from that part of the program lands us on the rest of the modifications on the front end. There’s a new carbon fiber front lip and new front skirt add-ons that are also made from carbon fiber. Over at the corners by the intakes are a pair of fins that are similar to the ones ABT Sportsline used on the equally limited, Geneva-bound Audi TT RS-R. Off to the sides are the new wheel arch vents, carbon fiber side skirts, and for cosmetic’s sake, carbon fiber mirror caps. The rear section, meanwhile, is the recipient of a new rear spoiler and a few rear skirt add-ons, all of which, as you can tell by now, are also made from carbon fiber. Finishing off the exterior upgrade program for the Audi RS6+ is a new set of 22-inch GR alloy wheels that are available in either “glossy black” or “matte black,” with each version combining with different diamond machined areas. Likewise, ABT Sportsline is also offering the wheel sets in either DR or FR designs should the GR ones prove to be less than adequate for your taste. In the absence of any recent programs made for the Audi RS6, we’ve decided to take the unconventional step of comparing ABT Sportsline’s new RS6+ kit with… ABT Sportsline’s RS6 from last year’s Geneva Motor Show. That kit came with its own unique set of features, including a carbon fiber aero kit made up of similar components to the one the tuner is offering today. It had carbon fiber exposed air inlet panels on the sides of the intakes and front flics. It also included a carbon fiber rear spoiler, carbon mirror caps, and a new set of 22-inch alloy wheels wrapped in Dunlop performance tires. 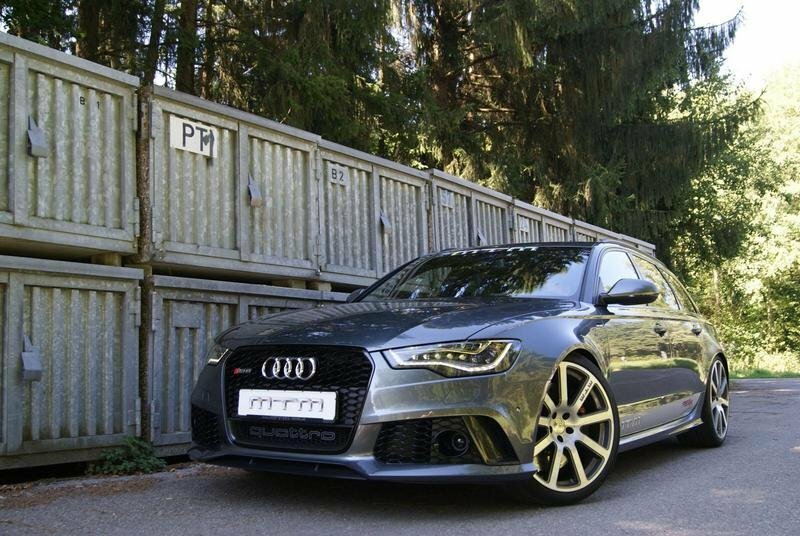 Note: photo of the 2016 Audi ABT RS6 Avant by ABT Sportsline. It may not be as much as what ABT Sportsline has on offer for the RS+, but that shouldn’t come as a surprise since the latter is the “new” program of the two and just as important, it’s also marked as a true special edition model with a limited number of models available. 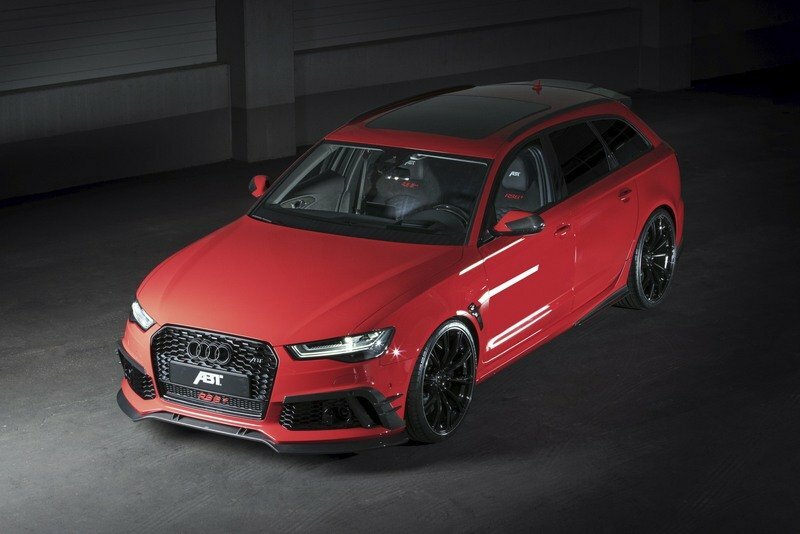 ABT Spotsline’s interior upgrades for the Audi RS6+ are made up of similarly new components that were included in the tuner’s other Geneva-bound program, the Audi TT RS-R. 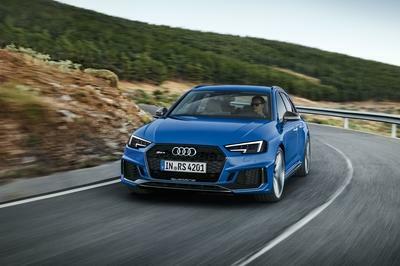 The similarities shouldn’t come as a surprise because both cars (the TT RS-R and the RS6+) are being presented in Geneva before going on sale later on in very limited quantities. In the case of the RS6+, the upgrades include leather work from ABT Individual to go with a number of carbon fiber components, including ones on the seat and gearbox panels and also from ABT Individual. The tuner is also offering a new steering wheel design that itself can be dressed up in leather and carbon fiber. Likewise, a new start-stop button is also on the table, as is a new gear knob badge, and the usual aftermarket additions, namely the new floor mats, trunk mat, and LED door entrance lights with the tuner’s very own RS6+ logo. And just so it’s clear to everyone that the Audi RS6+ is unlike any other RS6 that’s out on the market today, the interior also features a specific model number badge denoting the production number of the 50 models that ABT Sportsline plans to build. Since the car that’s headed to Geneva is the first production model of the RS6+, that should come with a model number badge of 001/050, or something like it. It should come as no surprise that we’re going to go back to the program that ABT Sportsline presented in last year’s edition of the Geneva Motor Show. For those who don’t remember, that RS6 upgrade wasn’t a typical tuner program that as being presented in the show before going on sale after. Nope. That version of the RS6 program was created to celebrate ABT Sportsline’s 120th anniversary, which meant that not only were there 12 units made of that car, but its interior upgrades were made to look even more exclusive than this program. For starters, it came with bi-color leather seats with a number of areas of the cabin – the headliner, pillars, and tailgate, among them – getting the full-blown Alcantara treatment. Meanwhile, other sections like the dashboard, door panels, and steering wheel were dressed in a combination of the two premium materials. 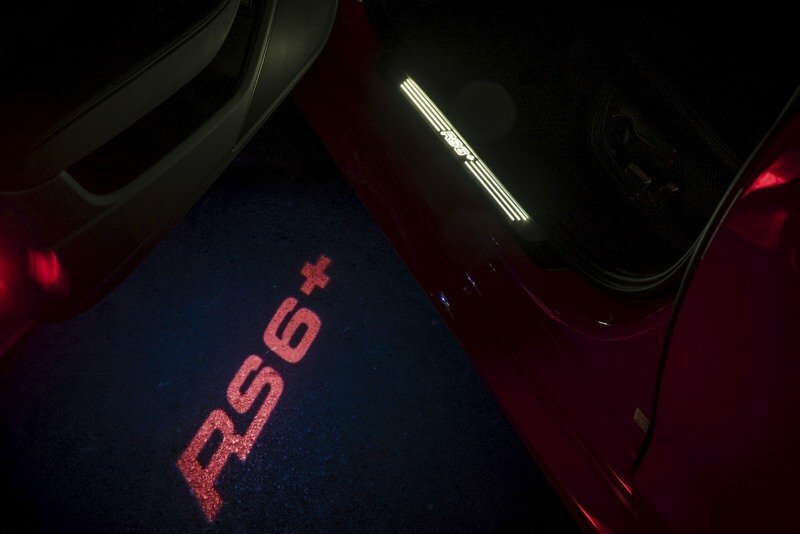 And just like the numbered set that the RS6+ program comes in, last year’s more limited version also featured a signet indicating its exclusivity, not to mention floor mats that had “120 years” on it. You want to hear something ironic? 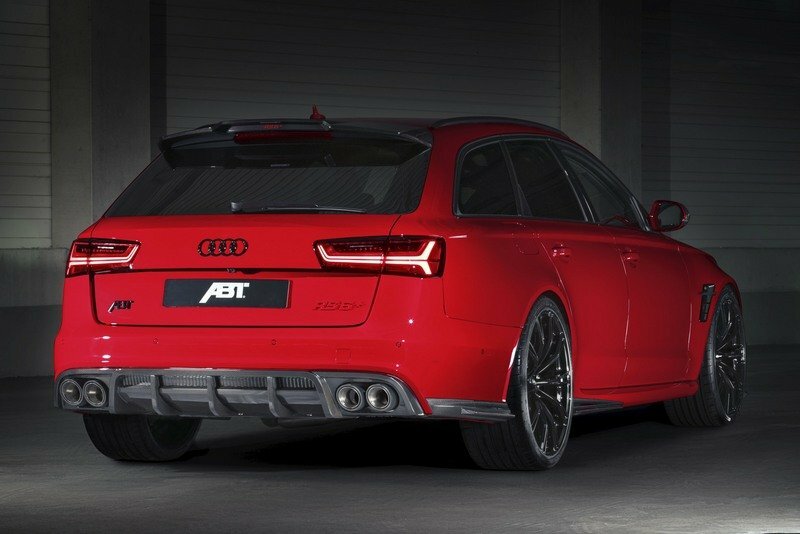 ABT Sportsline’s RS6+ program for the performance wagon features the tuner’s specially developed ABT Power S control unit. 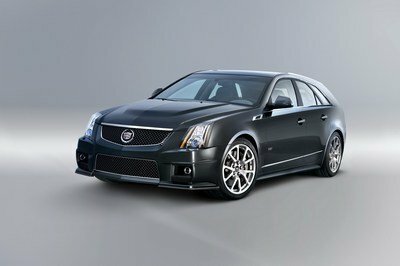 Once installed, the module is capable of increasing the output from the wagon’s 4.0-liter bi-turbo V-8 engine to as much as 705 horsepower and 649 pound-feet of torque. That’s an increase of 140 horses and 132 pound-feet of twist. 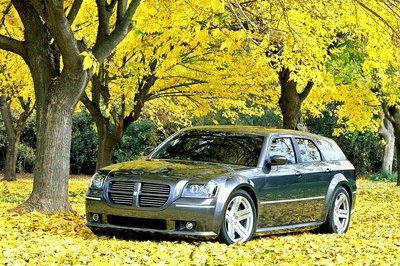 The German tuner didn’t say how the increase in power affects the wagon’s performance times, but a sprint to 60 mph in less than four seconds should be in the cards, as is a top speed in the vicinity of 190 mph. You want to know where the irony is? 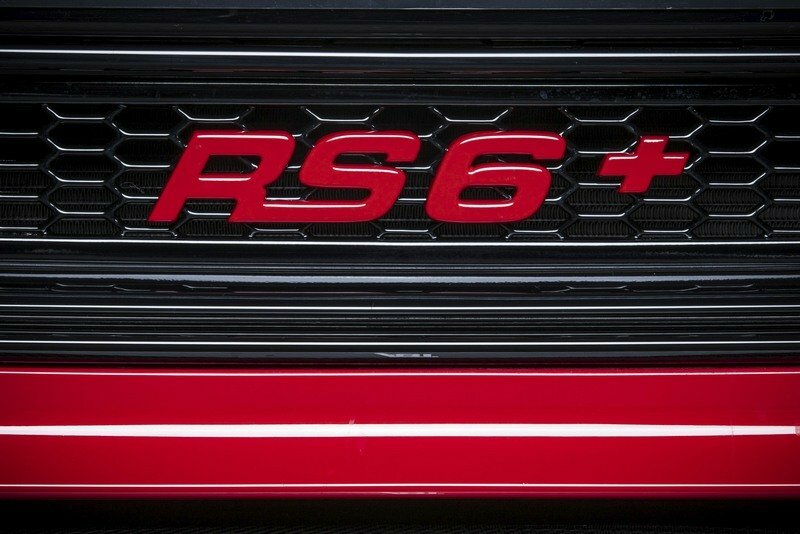 Well, last year’s program for the Audi RS6, the same one that the German tuner created in very limited quantities to celebrate its 120th anniversary, had an engine program that yielded more power across the board than this new RS6+ program. Wait, what? Shouldn’t it be the other way around? Aa sprint to 60 mph in less than four seconds should be in the cards, as is a top speed in the vicinity of 190 mph. That’s a pretty good question to ask and while I don’t have the answer to said question, I can assume that the importance of the tuner’s 120th birthday has a lot to do with it. It’s also a reason why there were only 12 units that were produced with that program as opposed to 50 units of this program. 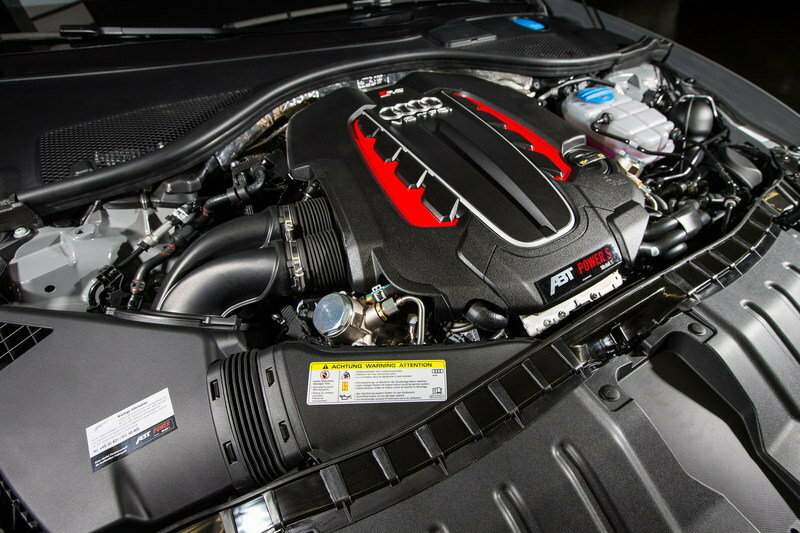 In any case, the numbers from the 120th anniversary RS6 program added up to 735 horsepower and 679 pound-feet of torque using a similar engine software tune. 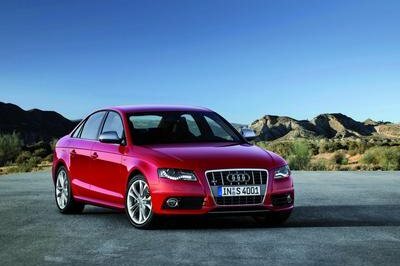 ABT Sportsline didn’t say how fast that model could go from an idle position to 60 mph – somewhere around 3.7 seconds was my guess – but it did say that the car was capable of hitting a top speed of 199 mph. Check out how both programs compare to each other in the table below. 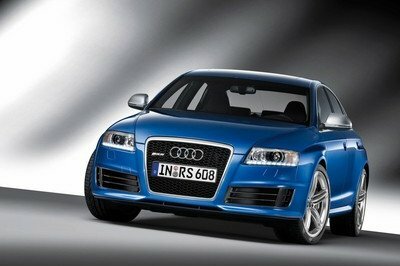 Newsflash: ABT Sportsline has yet to release the pricing details for the Audi RS6+. We’re pretty sure that the figures will be released at some point in the near future, but in the meantime, our best guess is a price that could fetch north of £100,000. We reached that threshold by taking into account the £79,085 price of the base version of the RS6 and adding what around £20,000 worth of ABT upgrades. Unfortunately, interested customers here in the US are as likely to get the RS6+ since the model itself isn’t available in our part of the world. Believe it or not, but the Audi RS6 has been attracting tuners for quite some time now, even though there’s been a relative dry spell on the current iteration of the model. 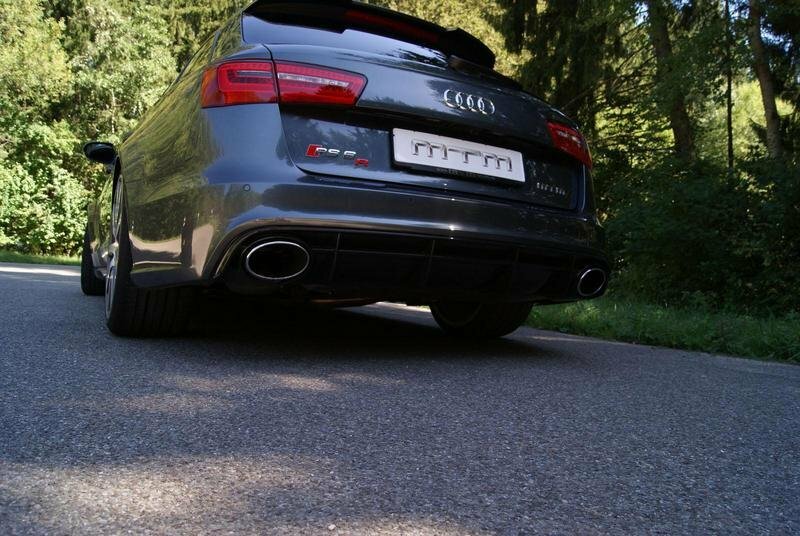 But back in 2013, fellow German tuner and Audi kit extraordinaire MTM presented what still stands in my eyes as one of the most impressive programs made for the RS6. 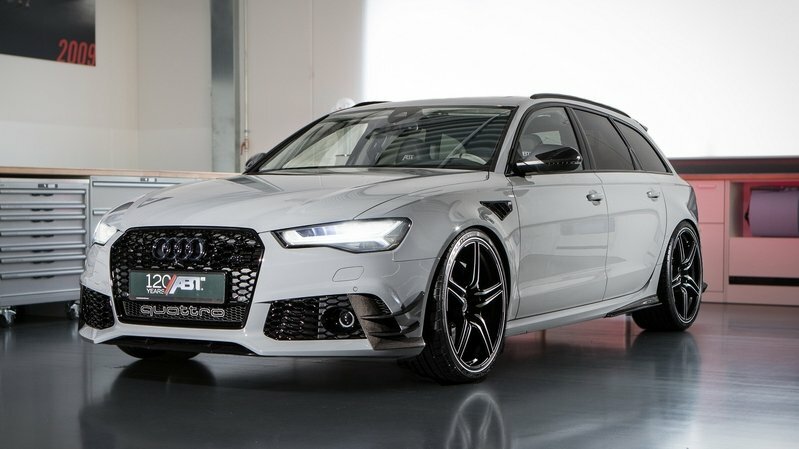 Using its own software kit and throwing in a few new bits and pieces along the way, MTM was able to increase the performance wagon’s output to 722 horsepower and 652 pound-feet of torque, more than what ABT Sportsline was able to get out of the RS6+. If the numbers aren’t enough, consider these: the MTM-tuned RS6 was capable of hitting 62 mph in 3.3 seconds and 124 mph in 11.3 seconds, and that’s all before hitting a top speed of 211 mph. Yowza! Read our full review on the Audi RS6 Avant by MTM here. I’ve never been the biggest fan of sports wagons, but I have made a few exceptions from time to time. I’d like to add the Audi RS6+ among the list of exceptions. It doesn’t matter to me that ABT Sportsline seems to have taken a step back from its program a year ago, even though I can understand if some people feel that way. What’s important is that the German tuner continues to be at the top of its game with its programs, exclusive or otherwise. The RS6+ is the latest example of that, and with three more Geneva-bound offerings on the table, you can be sure that ABT has a few more surprises along the way.